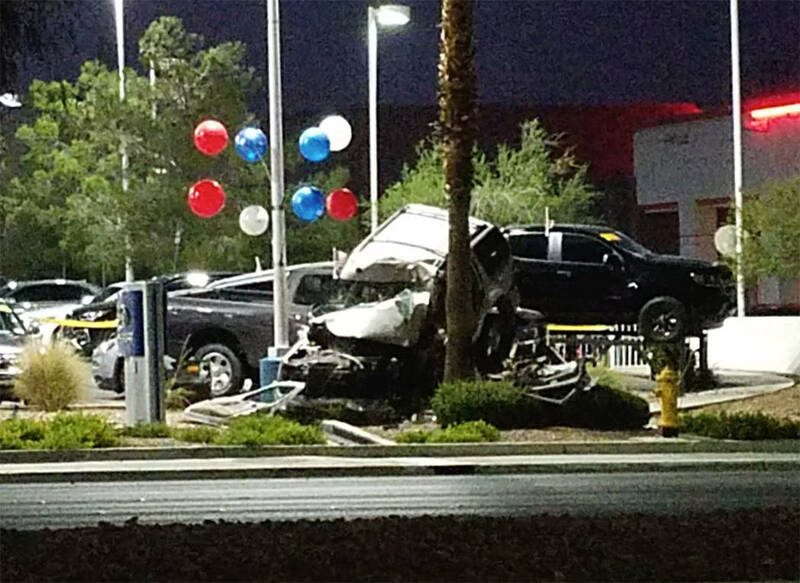 One person died after a fatal crash involving a pedestrian Saturday evening crash near West Sahara Avenue and South Tenaya Way, Las Vegas police said. 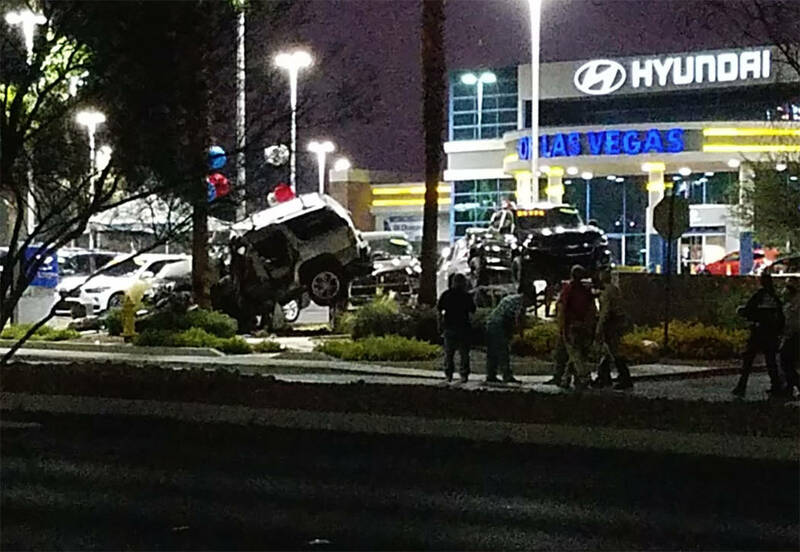 A pedestrian is dead and an SUV driver is seriously injured after a Saturday evening crash in the west valley, Las Vegas police said. 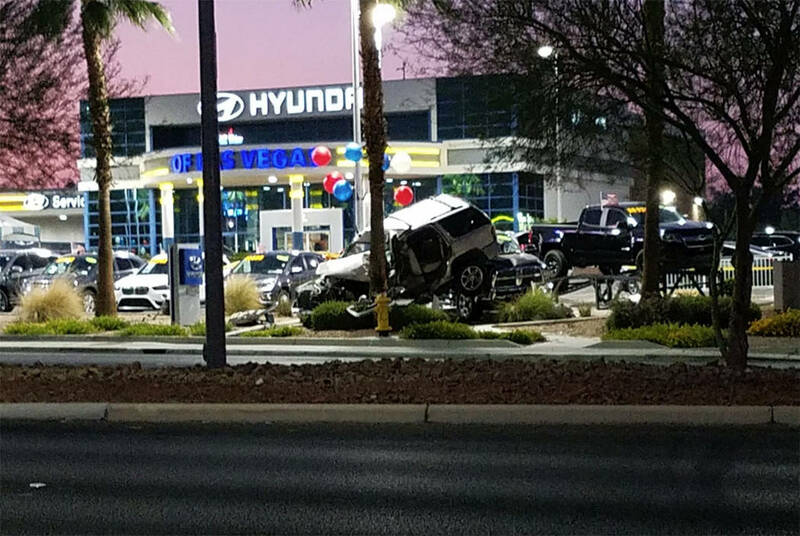 The SUV veered into the pedestrian about 5:50 p.m. on the 7000 block of West Sahara Avenue, west of South Rainbow Boulevard, Metropolitan Police Department Lt. Greg Munson said. The pedestrian was walking west on the Sahara north sidewalk when the SUV left the roadway and hit him, Munson said. The impact threw him into a nearby car dealership’s parking lot, where he died. 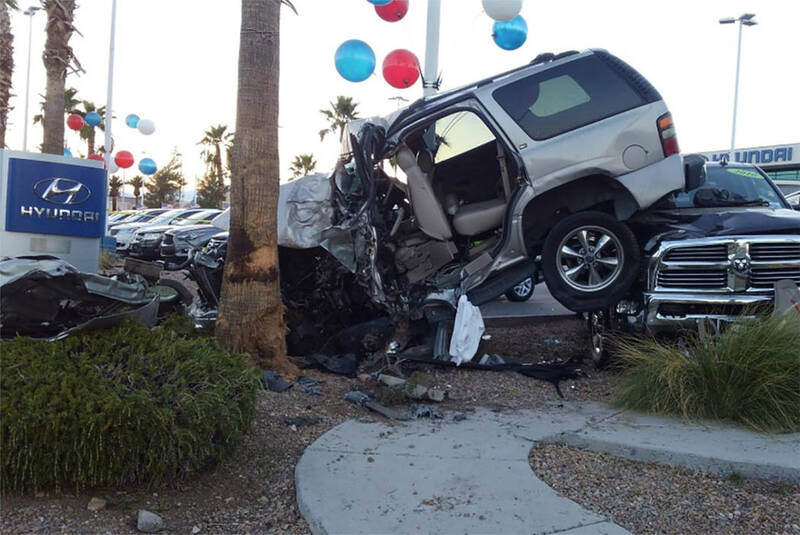 The SUV then smashed into a palm tree, with the impact lifting the vehicle onto a pickup truck parked at the dealership lot, Munson said. Its driver, a 30-year-old man, was hospitalized with serious injuries. 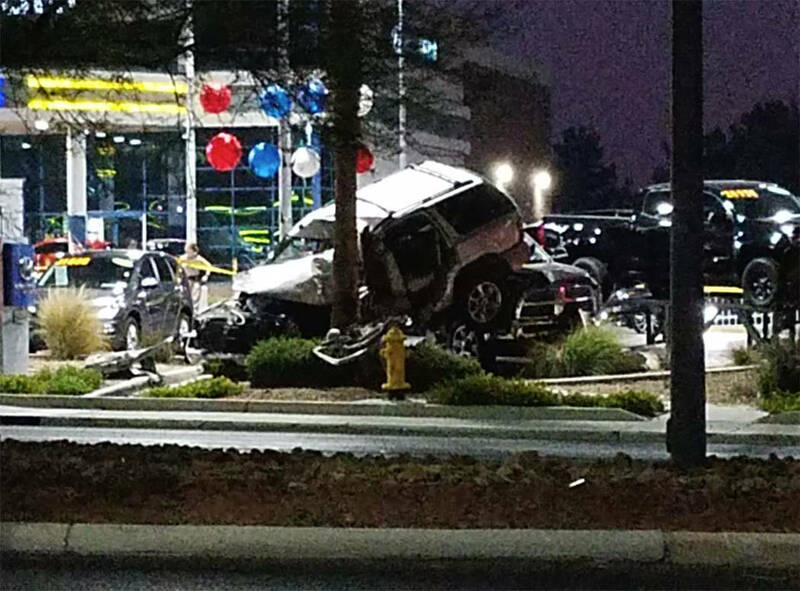 It wasn’t known if he was expected to survive, nor was it clear whether impairment or excessive speeds factored into the crash. Police had found some security footage within the area, he said. The Clark County coroner’s office will release the deceased’s identity once his family is notified.